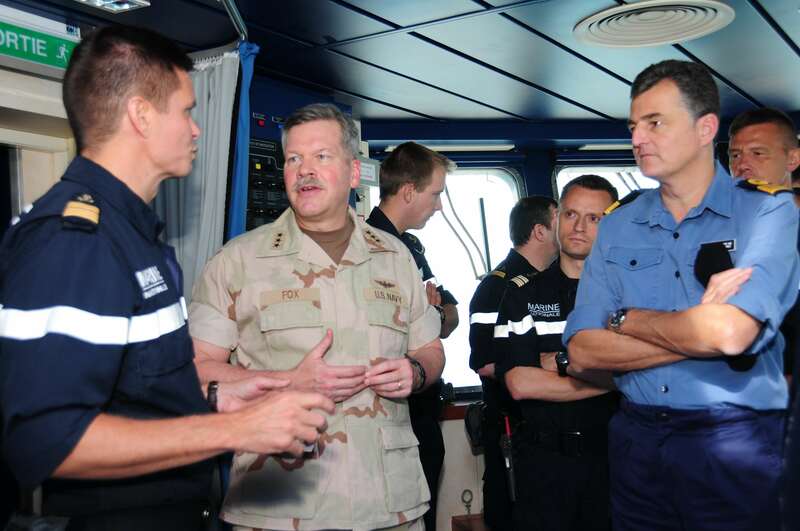 Vice Adm. Mark Fox, Commander, and Commodore Tim Fraser, Deputy Commander, Combined Maritime Forces, visited French Amphibious Assault Ship FS Mistral (L9013), April 21. Invited by Commanding Officer, Capt. Xavier Moreau, Fox toured the ship and addressed the more than 80 midshipmen currently embarked about leadership, professionalism and current regional issues. 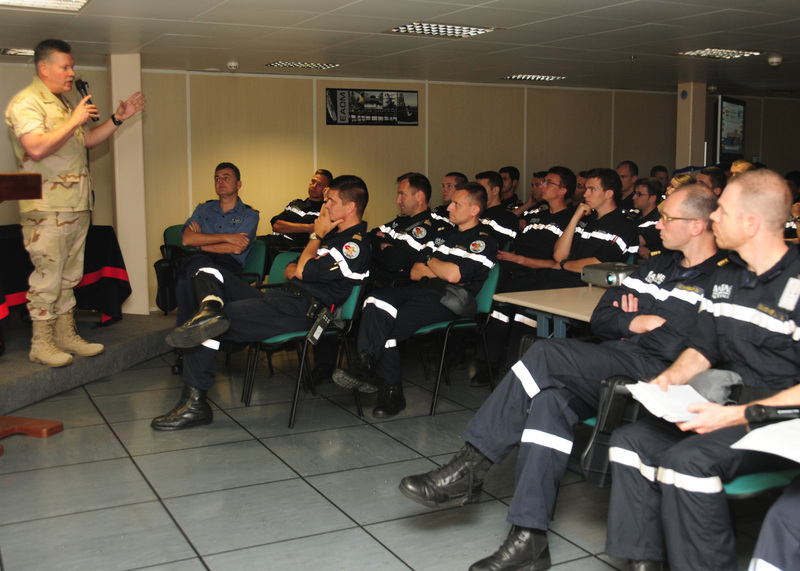 Mistral is serving as a practical application school for French midshipmen, giving them the opportunity to gain valuable hands-on sea-based knowledge. 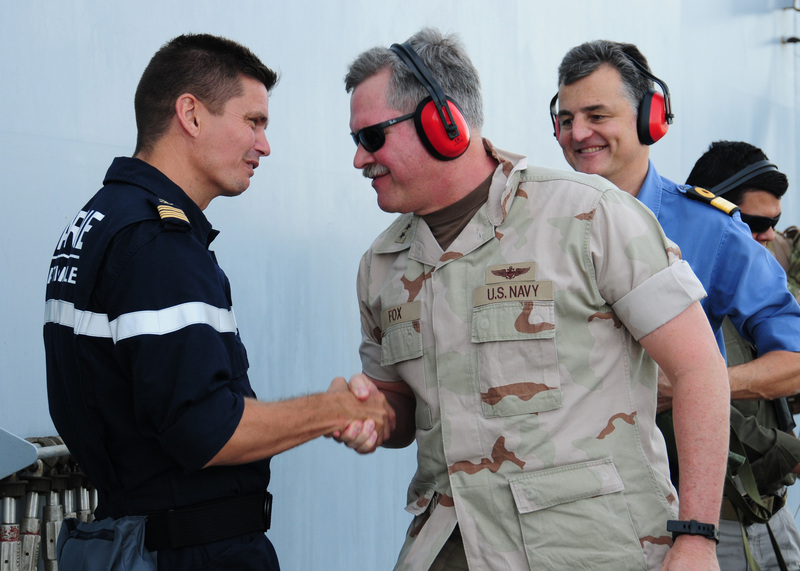 The visit highlighted the excellent working relationship and friendship between the United States and French militaries. Before joining CMF Mistral has recently been operating off the coast of Libya aiding the joint United Kingdom-French effort to repatriate Egyptian refugees fleeing the violence there. 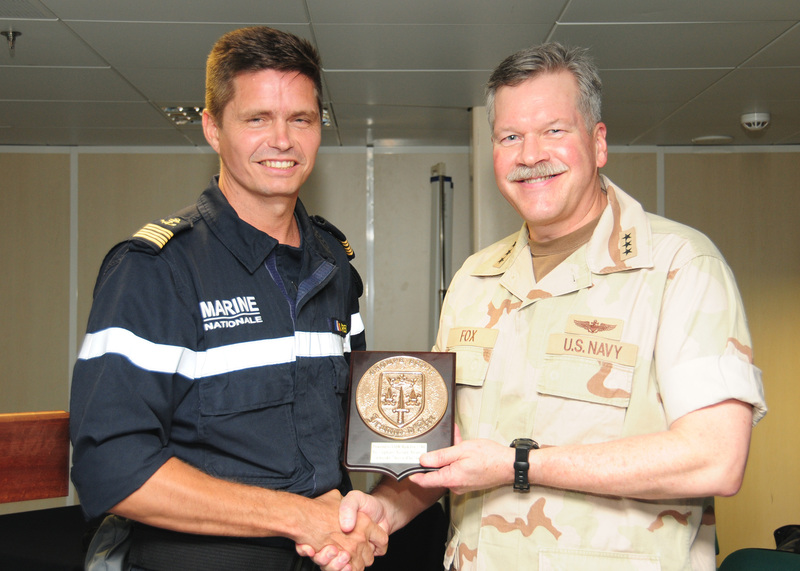 France is currently leading Combined Task Force 150, one of three maritime task forces operated by CMF. CTF150 exists to create a lawful and stable maritime environment free from terrorism, smuggling and other illegal activities across an area of two million square miles, covering the Red Sea, Gulf of Aden, Arabian Sea, Indian Ocean and Gulf of Oman.